Sparkle Unleashed from 10tons is like Zuma; or Zuma is like Sparkle Unleashed. I don’t know which came first or if it even matters. 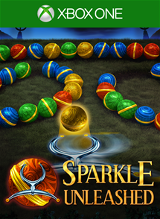 Sparkle Unleashed is a marble triple matching puzzle game. Marbles come at you in a long row and you need to shoot marbles into the mix, creating matches, before the line passes you by and you lose. There are a 107 of these levels to complete. I’ll be honest and say when I heard this was coming out my first thought was, “This is going to be a crappy Zuma clone. Play for 5 minutes and then trash it a quick review and move on.” But I was wrong. It’s not going to win any game of the year awards (unless there is a Marble Puzzle Game Monthly and if there is please forward me the subscription information), but when you think it’s going to be a 1 trick pony and the pony actually does 3 or 4 tricks, well your expectations just got blown up by 400%! The graphics are exactly what I thought they would be. The marbles are nice and shiny but the backgrounds are dull and static. The music is standard puzzle fare, not something I plan to load up into my iPod and jam out to at the gym. There is a story to all this and it is fully voiced. The story pops up every few levels and is your standard puzzle storyline, something happens to the world and your only hope of fixing it is to shoot marbles! Every time you complete a series of levels you earn a power-up. 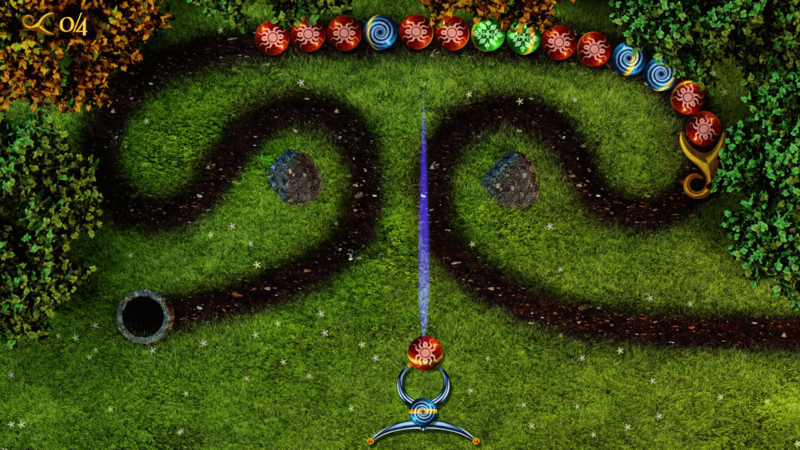 Cool things like Fireballs to destroy random marbles and things that will change marble colors for you. The best is that there is a actual tech tree and these upgrades are by your choice instead of just handed out at arbitrary times. There are 6 different paths and 3 upgrades to earn in each path. 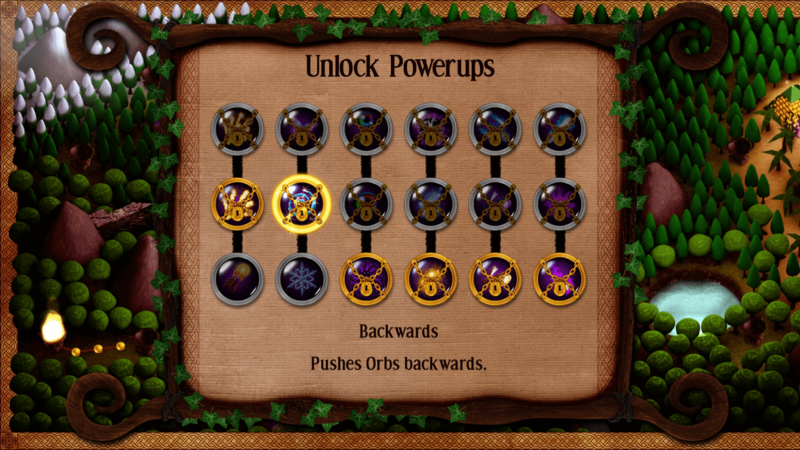 How you earn the power-ups in game is when you make several matches in a row a power-up will appear. You then need to shoot it to activate it. This adds another level of strategy to as to when you are going to activate a power-up and also that fact that whatever you shoot at it disappears. So if you are on a combo run and a particular color isn’t going to benefit you, you can shoot it at a power-up to get a new option. I am color blind and typically these match 3 games are a pain to figure out. For me especially the green versus yellow marbles. Sparkle Unleashed luckily has a color blind option and the quality of it is impressive. It adds a symbol over all the marbles that is really high quality. I can see a lot of people using this as their default view as it really makes the different marbles pop. Sparkle Unleashed is a game that is great to just start it up and play a few levels at a time and at a $8 price point it get a recommend from me.